A truly unique design with unusual textures that are perfect for a bride looking for something less typical yet romantically elegant. 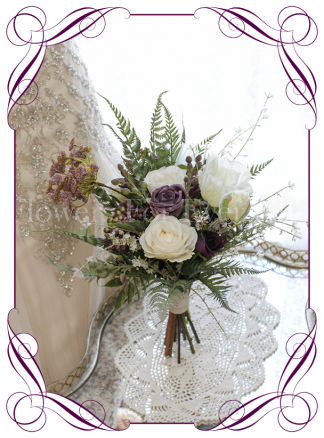 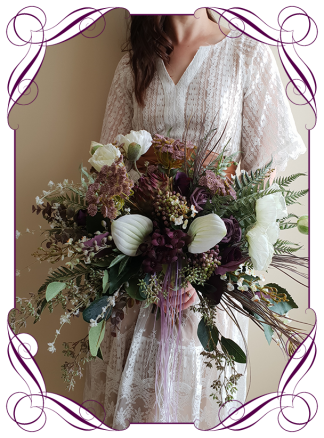 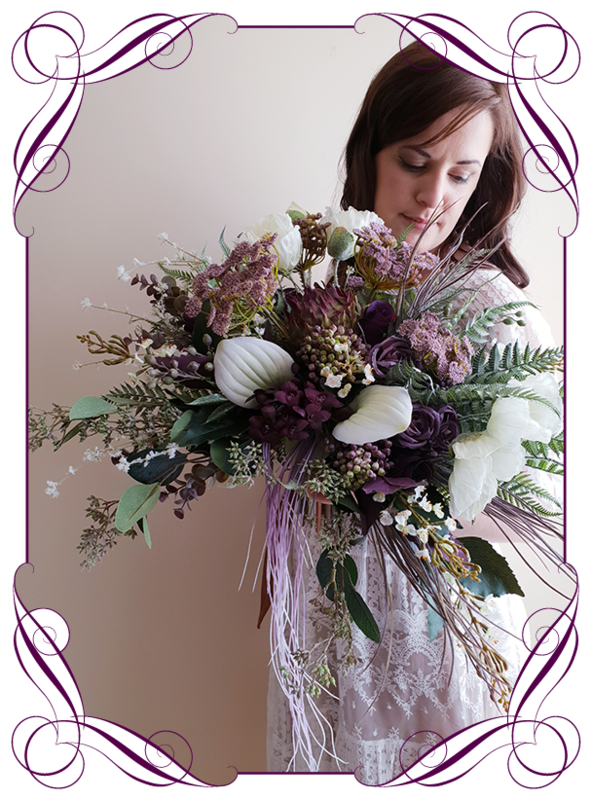 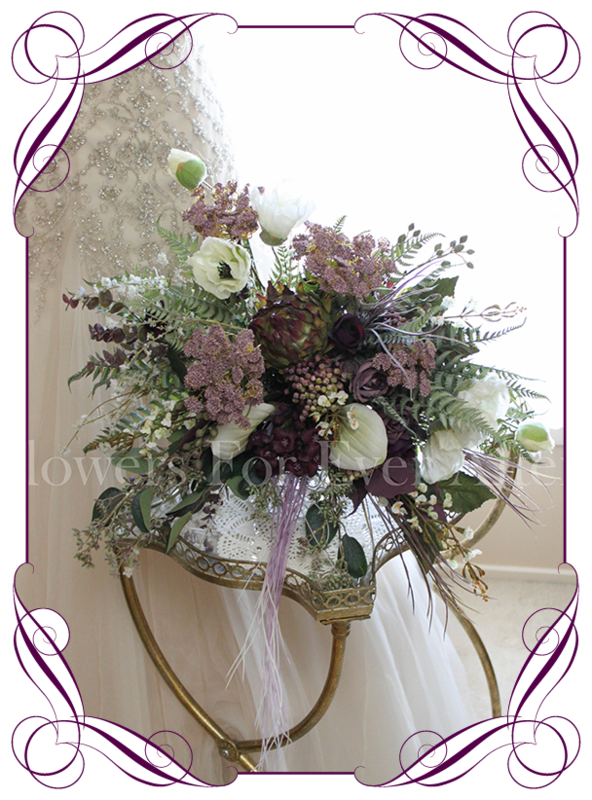 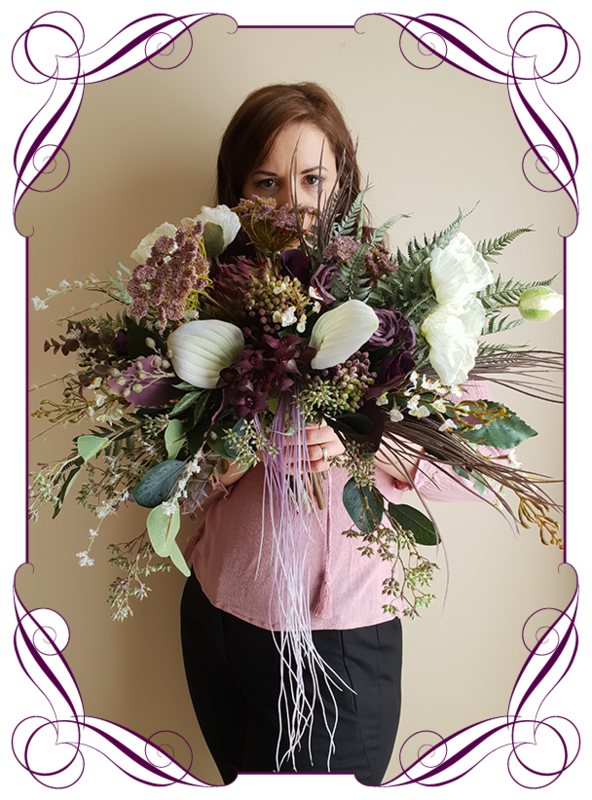 This bouquet is wide partial cascade that can be held as a draping design or an across the body posy. 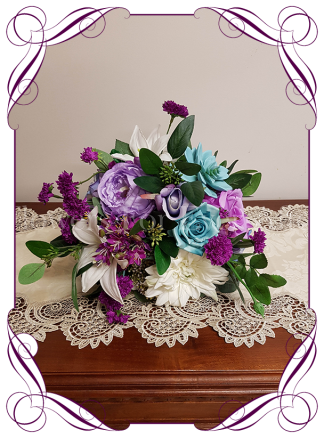 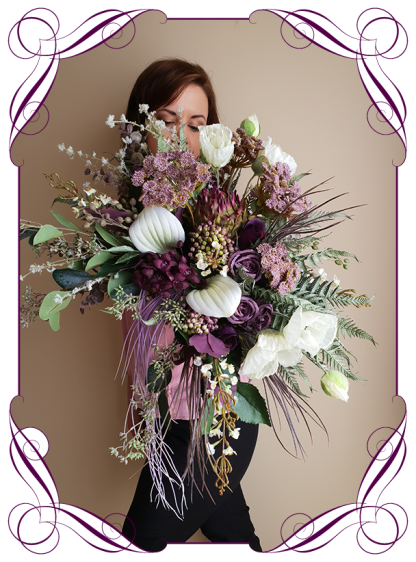 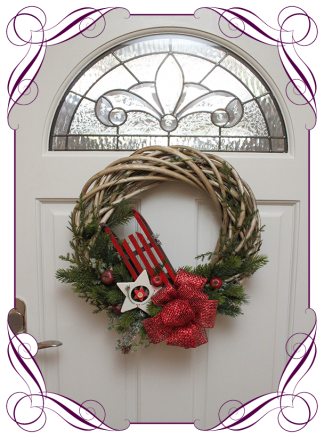 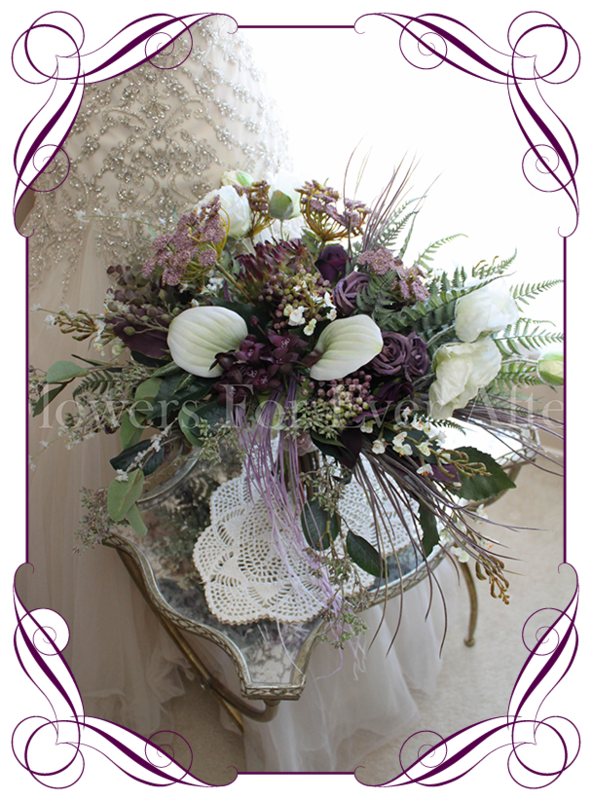 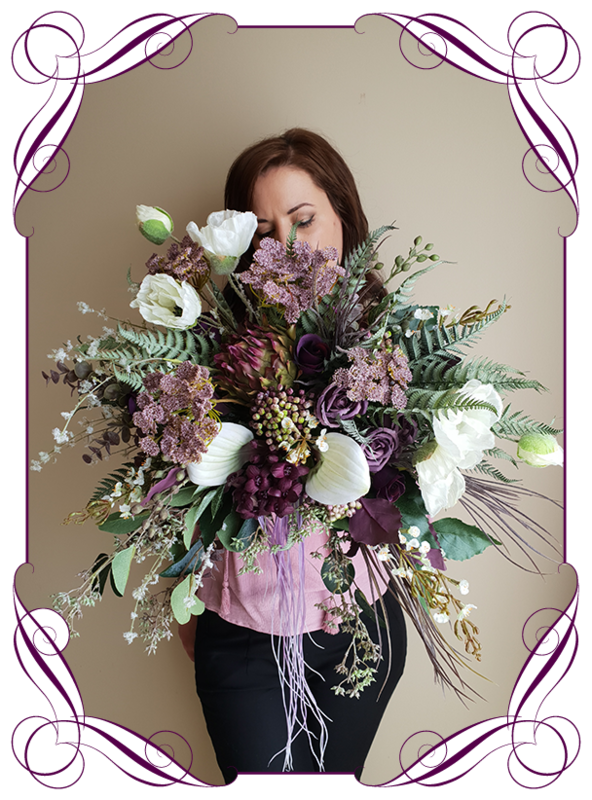 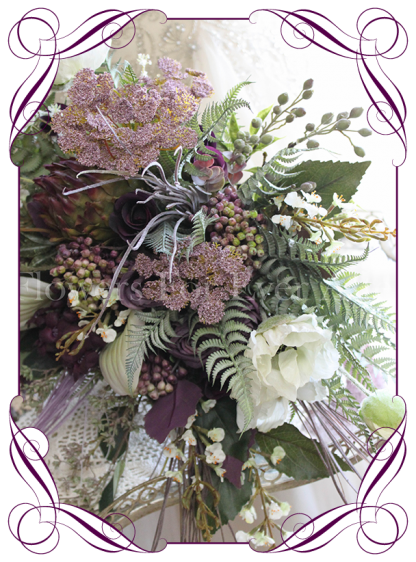 Features a mixture of fern foliage along with dusty mauve Queen Anne’s lace, misty, plum centered tacca orchid, ivory poppies, ivory lavender mona, plum berries, mauve and dark purple rose buds, artichoke flower, tillandsia spray, burgundy plum eucalypt, and seeded gum. 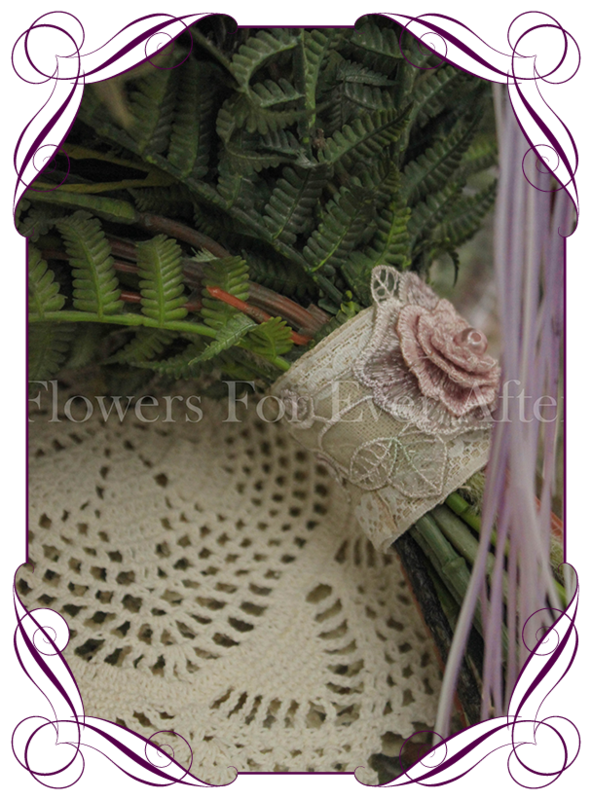 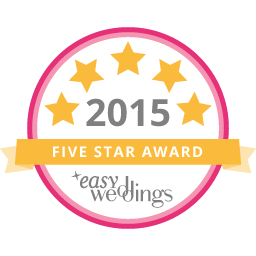 The bouquets handle is partially wrapped in linen with a blush mauve rose lace overlay. 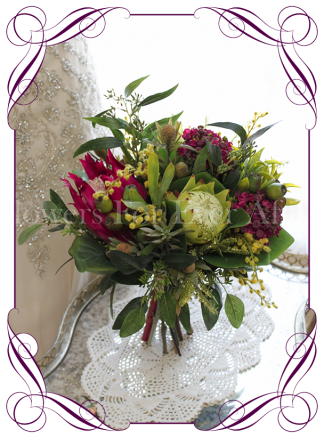 Measures approximately 57cm x 42cm (23 x 17 inches) across the top of the design.